Fortnite today releases V8.01 Patch Update that not only brought bug fixes but also introduces some new items including the new Buried Treasure, a legendary map that allows players to see buried chests on the map with an X mark. However, there was so much hype about what items this new Buried Treasure will bring. Now, when the first update of Fortnite season 8, the v8.01 is out, players can finally dive in to get the full patch note on the official release page. 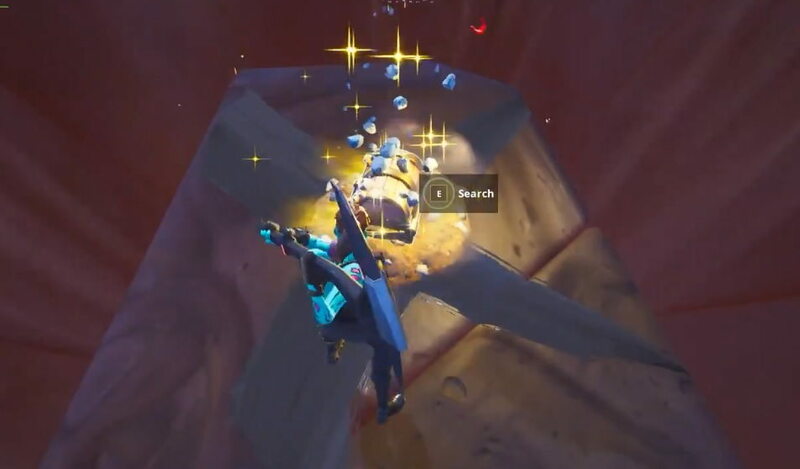 However, a Fortnite tipster FortniteBR on his Twitter account has also shared a short video for all of us to have a quick look at how the new Buried Treasure in Fortnite actually works and what kind of loot items it includes. The 28 seconds short video shows us a cosmic character digging up by using a pickaxe on the X marks, which appear to be on the south-east of the new Volcano point of interest. The types of items and weapons which appear to be there are Ammo: Shells, Compact SMG, Heavy Assualt Rifle, Stone, Metal and More. Check out the video below to know how it looks.